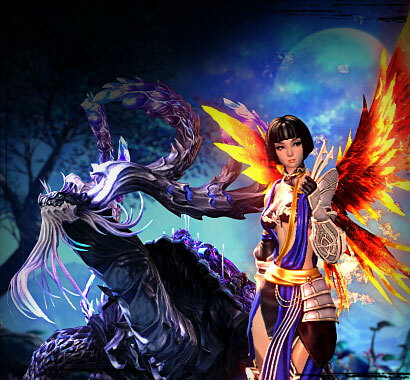 Blade & Soul: Warden’s Fury Now Live! 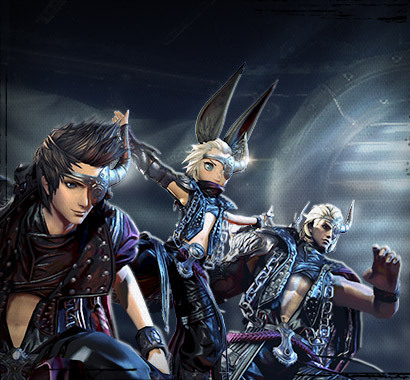 Grab your Greatsword and become the Warden in Blade & Soul: Warden’s Fury—NOW LIVE! 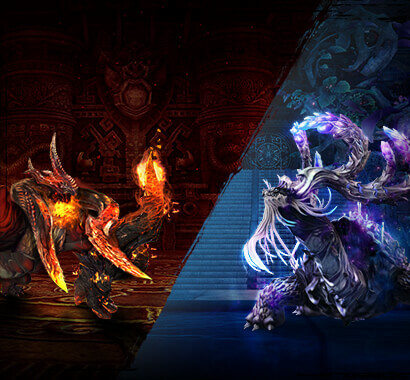 The Blade & Soul: Warden’s Fury update brings with it new Warden class, Act 9 of the main story, a new 6-player Heroic Dungeon—The Shadowmoor, balance and systems changes, and a lot more! Check out the Warden’s Fury update page for an overview, or scroll down for more in-depth coverage and detail. Blade & Soul Producer Jonathan “Babbletr0n” Lien and Margaret “Luperza” Krohn recently showed off Warden’s Fury features and events in our most recent livestream. Watch and follow along as he takes you through a tour of what’s new! With a mighty Greatsword in-hand, Wardens are a force to be reckoned with, and will decimate all who stand in their way. So dedicated is this tank to protecting their allies, a Warden will spill their own blood to do so. Overseas trade into the Stratus Capital has been disrupted, and the seas are no longer safe. Captain Jin Bae needs your assistance in getting rid of the undead Captain Mookwan and his ghastly crew. The Way of the Warrior and Juggernaut Jackpot Events will help you focus your chi to become stronger and benefit from some of the event’s unique rewards. We’re making a number of improvements and changes to the game’s systems and items. Click the link below for a look at what’s coming with this update, and be sure to scroll down for the full patch notes. To help you take your Warden on their journey, we’re bringing some new items and updated bundles to the Hongmoon Store—including a FREE Additional Slot Voucher available for a limited time! If you run into any issues with this update, be sure to check the Known Issues forum thread for things we’re already working on. If that doesn’t help, please contact our support department for further assistance. The Warden class is now available to Jin and Gon. Act 9 of the Epic Quest is now available. From September 12 through October 17, complete Act 9 to receive the Flashforward outfit. The Shadowmoor, a new 6-player Heroic Dungeon, is now available in Normal and Hard Difficulty. The Way of the Warrior Event is now available from September 12 through October 17. Complete the Daily Challenge to receive Fighter's Fortune Chest, which contains 2 guaranteed Upgrade Emblem event token plus a chance at additional rewards. You can also purchase 1 Upgrade Emblem per day from the Hongmoon Store for 0 Hongmoon Coin. Exchange with additional Upgrade Emblems and Gold for permanent Riftwalk Weapon Stage 3. Exchange with additional Upgrade Emblems and Gold for permanent Dawnforged Weapon Stage 3. Upgrade this to Brilliant Fleeting Fury Soul using Upgrade Emblem to exchange for permanent Awakened Hongmoon Energy or Awakened Ascending Soul. Upgrade this to Brilliant Fleeting Fury Pet Aura to exchange for permanent Awakened Gusty/Loyal/Furious Hongmoon Pet Aura. All of the temporary items above will provide stats equivalent to permanent items for the duration of the event. Afterwards, they will provide no stats and will be marked as antique. The Juggernaut's Jackpot event is now available from September 12 through October 17. Head to the Hongmoon Store to grab a Juggernaut's Jackpot for 0 Hongmoon Coin. Juggernaut's Jackpot can be opened once every 10 hours to receive rewards as well as the next stage of Juggernaut's Jackpot. Juggernaut's Jackpot - Stage 10 is the final stage and contains the Dayglow outfit. New hairstyles are now available for male and female characters. Epic quest rewards have been updated. Equipping certain Titles now add a visual effect to your character's name. You can toggle the option to display other character's name effects in Settings. The Compare Equipment feature when Evolving a weapon now displays all stat and skill modifiers. Added additional guidance elements to Basic Skills Training in the Hongmoon Training Room. You now have the option to skip Basic Skills Training when using a Level 50 Character Creation Voucher. Added an indicator above the RMB skill when Simplified Combat Controls are active. Updated the list of items that are shown in the Boast UI. Fixed an issue where the map and mini-map would display incorrectly in Ju Nakmun Harborage (the third section of Drowning Deeps). Fixed an issue where the portal to the second section of Sandstorm Temple would sometimes not display correctly. Legendary Jewels have been removed as a quest reward from Know Thine Enemy Part 2. Fixed various localization issues in English, German, French, and Portuguese. All NPCs have had their HP reduced. Reduced the range of the knockback when changing stances. Soul Shackle is now increased at 50% instead of at 60% and 30%. The Shield Bearer no longer enrages if 5 stacks of Resonance are not cleared. The damage dealt when clearing stacks of Resonance has been adjusted for up to 8 characters. The Shield Bearer will no longer enrage when reaching 35 stacks but will still recover HP. Bombard can now be resisted. Scorptamaton will no longer enrage from breaking too many links when transferring Flame. Fixed an issue where Distortion would not display correctly on certain graphics options. Receiving two stacks of Reverse Reflux no longer causes instant death. One player receiving all 5 hits of Unleashed Fiery Punch no longer causes enrage. Reduced damage from add explosions. Lightning Dragon now lasts for 30 seconds, down from 60 and can stack up to 10 times, down from 20. Roar now deals less damage per stack of Lightning Dragon. Lightning now deals less damage. Eight Slaps no longer applies Knockdown. Soulstone Dagger no longer applies Daze. Reduced the effect of Darkness. Iron Monkey now places 3 Voltaic Rod, down from 5. Slam and Swing no longer apply Knockdown. 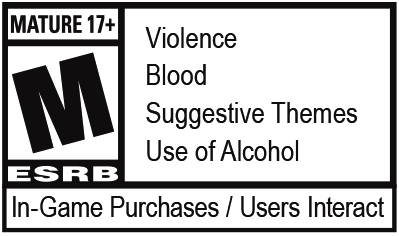 Decreased damage overall and reduced instant death thresholds. Continuous Blows no longer applies Knockback. Tail Strike no longer applies Knockdown or Airborne. Tail Spin no longer applies Knockback or Knockdown. Reduced damage and movement speed decrease of Samisa Poison in both Normal and Hard Mode. The first hit of Multiple Demonic Energy no longer applies Airborne. Reduced damage of Brand, Spinning Strike, Demonic Shackles, and Doom. Frost Wave now occurs 4 times, down from 6 times. Vicious Bite now deals less damage. Earthquake no longer applies Knockdown. Receiving 50 stacks of the Electric Current debuff no longer causes instant death during the Ogarak encounter. Tainted Zone no longer applies Snare. Failing the Prey mechanic now deals a large amount of damage instead of causing instant death. The Prey mechanic no longer repeats when the marked character dies. Jurupo now enters the final phase at 30% instead of 40%. Ground Ripple now has a lower HP threshold to cause instant death. Updated Soul Separation mechanics during the Amara encounter. Amara can still be defeated even if Dokgom's Spirit is not defeated in Soul Separation. Removed Instant Death mechanics from Rukesh encounter. The Merchant of Wonders now has a chance to spawn from Hard Mode The Shadowmoor. Slightly decreased the spawn chance for Mysterious Merchant from Hard Mode dungeons to balance overall item production. Reduced upgrade costs for all PvE Legendary Weapons. For more details, click here. Reduced upgrade costs for Galaxy Weapon Stages 1-12 and Ascendant Weapon Stage 1-9. For more details, click here. Storm Dragon/Exalted Weapon Stages 7-9 are now available. Immortality Earring is now only available from Celestial Basin Exchanger NPC Lee Youjin and Dragon Trader NPC Junsorei. Imperial Ring is now available from The Shadowmoor which can be upgraded to Wrathbringer Ring or Myth Ring. Hellion Belt can now be upgraded to Horizon Belt with Shadowmoor Belt from The Shadowmoor. True Hongmoon Heart can now be upgraded to True Virtuous Heart. Celestial Heart is no longer available and can now be exchanged via the Antiques window for Stormbringer Heart which provides the same stats and costs the same to upgrade to Hongmoon Heart – Stage 1.Stormbringer Heart is now available as a reward from Act 9 of the story quest as well as from Celestial Peach Exchanger NPC Lee Youjin. Poison Breath, Choke Bomb, and Venom Swarm now deal Lightning damage while Lightning spec is active. Lotus Fury, Lotus Kick, and Lightning Stride now deal Shadow damage while Shadow spec is active. Raven Dagger, Aransu Dagger, Celestial Emperor Dagger, Subjugator Bracelet, Divine Dragon Bracelet, Genesis Soul Badge and Revelation Mystic Badge now grant additional elemental damage based on the active spec rather than whether Heart Stab was cast in or out of Stealth. The 3-piece set effect for Elder Assassin Soul Shield now increases the damage of Volley and Sweeping Gale by 80% instead of Volley by 100%. The 8-piece set effect for Myo's Cunning Soul Shield now increases the damage of Volley and Sweeping Gale by 135% instead of Volley by 165%. The 3-piece set effect for Elite Assassin Soul Shield now increases the damage of Poison Breath, Choke Bomb, and Venom Swarm by 25%. It no longer enhances Sweeping Gale. Aransu Mystic Badge now triggers Chaos Strike on a successful Heart Stab while the Aransu effect is active. Dynasty Mystic Badge now triggers Storm Strike on a successful Heart Stab while the Scourge Cycle effect is active. Pulse Mystic Badge now reduces the cooldown of Lightning Rod by 6 seconds on a successful Heart Stab while the Pulse effect is active. Dynasty Mystic Badge now grants the Dynasty effect for 5 seconds upon the first hit of Chain Lightning. Lightning Flash deals an 150% of Attack Power as additional Lightning damage with the Dynasty effect active. Increased the chance for effects from equipment to trigger when using Rolling Typhoon. Fixed an issue where Escape could sometimes be used while affected by Airborne. Fixed an issue where targets affected by Daze from Five Point Strike Move 2 could not use Retreat. Raven Sword now causes Honed Slash to deal 210%/255%/320%/360% of Attack Power as additional damage, up from 205%/250%/310%/345%. Raven Sword now causes Dragontongue to deal 175%/215%/260%/290% of Attack Power as additional damage, up from 170%/210%/255%/280%. Aransu Sword now causes Honed Slash to deal 425%/490%/545%/625% of Attack Power as additional damage, up from 410%/470%/525%/600%. Aransu Sword now causes Dragontongue to deal 345%/395%/440%/505% of Attack Power as additional damage, up from 335%/380%/420%/485%. Grand Celestial Sword now causes Honed Slash to deal 625% of Attack Power as additional damage, up from 600%. Grand Celestial Sword now causes Dragontongue to deal 505% of Attack Power as additional damage, up from 485%. The 3-piece set effect from Gunma's Courage Soul Shield now reduces the cooldown of Soaring Falcon by 20% instead of reducing the cooldown of Five Point Strike. Flash Step now increases Movement Speed by 30% for 6 seconds. Raven Axe now causes Cleave and Mighty Cleave to deal 145%/170%/215%/235% of Attack Power as additional damage, up from 135%/160%/200%/220%. Raven Axe now causes Eradicate to deal 110%/135%/165%/180% of Attack Power as additional damage, up from 105%/130%/160%/175%. Raven Axe now causes Galeforce to deal 155%/185%/230%/260% of Attack Power as additional damage, up from 150%/180%/225%/250%. Aransu Axe now causes Cleave and Mighty Cleave to deal 300%/335%/375%/425% of Attack Power as additional damage, up from 280%/315%/350%/395%. Aransu Axe now causes Eradicate to deal 230%/255%/285%/320% of Attack Power as additional damage, up from 220%/245%/275%/310%. Aransu Axe now causes Galeforce to deal 325%/365%/410%/465% of Attack Power as additional damage, up from 315%/355%/395%/450%. Grand Celestial Axe now causes Cleave and Mighty Cleave to deal 425% of Attack Power as additional damage, up from 395%. Grand Celestial Axe now causes Eradicate to deal 320% of Attack Power as additional damage, up from 310%. Grand Celestial Axe now causes Galeforce to deal 465% of Attack Power as additional damage, up from 450%. Hongmoon Secret Technique Judgement now deals Shadow Damage in Shadow spec. The cooldown of Iron Plating when using Stone Shield Move 2 has been reduced to 30 seconds, down from 36. Fixed an issue where Hongmoon Secret Technique Stone Shield Move 3 would not properly apply Stun on a target that was Blocking and Parrying. Divine Dragon Bracelet now increases the damage of Blazing Beam and Dragonchar by 55%/90%/125%/180%, up from 50%/65%/80%/160%. Divine Dragon Bracelet now increases the damage of Glacial Beam by 27%/45%/63%/90%, up from 23%/28%/35%/68%. Tiger Bracelet now increases the damage of Blazing Beam and Dragonchar by 90%/145%/200%/290%, up from 90%/115%/145%/290%. Tiger Bracelet now increases the damage of Glacial Beam by 45%/70%/100%/145%, up from 43%/55%/68%/135%. Divinity Bracelet now increases the damage of Glacial Beam by 175%/190%/205%/220%, up from 150%/160%/170%/180%. The 3-piece set effect for Onmyung's Blessing Soul Shield now decreases the cooldown of Divine Veil by 20%. It no longer enhances Frost Armor. The 8-piece set effect for Elite Force Master Soul Shield now increases the damage of Dual Dragons by 60% instead of increasing the damage of Chi Bomb. Allegiance Soul Badge now causes Ice Coil to apply Freeze for 5 seconds. It no longer enhances Frost Nova. Genesis Soul Badge now also grants a shield equal to 10% of max HP for party members within range of Frost Nova for 6 seconds. Blue Moon Soul Badge now reduces the cooldown of Cold Snap by 5 seconds upon a succesfull Snowball, down from 7 seconds. Transcendence Soul Badge now causes Snowball to deal 550% of Attack Power as additional Frost Damage while the Onyx Sky effect is active, down from 1000%. Pulse Mystic Badge now deals 900% of Attack Power as additional Frost Damage when Snowball hits an enemy within range of Cold Snap, down from 3000%. Shock Fire now reduces the cooldown of Snowball and Frost Tornado by 12 seconds, down from 15 seconds. Chi Bomb now deals decreased damage. Frost Inferno Move 1 can now be cast instantly (was 2.5 seconds) and deals reduced damage. Hongmoon Secret Technique Frost Inferno Move 1 can now be cast instantly (was 2.5 seconds), deals reduced damage, and cannot be cast additional times. Frost Inferno Move 2 now deals increased damage. Snowball now has a global cooldown of 0.5 seconds, down from 1 second. Frost Snowball Move 1 can now be cast an additional time when hitting a target within the range of Cold Snap. The additional cast also increases Critical Damage by 20% for 6 seconds. The 8-piece set effect for Bulletproof Soul Shield now increases the damage of Quickshot, Awakened Quickshot, Darkshot, Awakened Darkshot, Bullet Storm, and Awakened Bullet Storm by 30%, up from 25%. Aransu Mystic Badge now triggers the Aransu effect for 4 seconds upon a successful Killshot or Bull Rush in addition to 10 seconds upon a successful Scorched Earth. Dynasty Mystic Badge now triggers the Dynasty effect for 4 seconds upon a successful Killshot or Bull Rush in addition to 10 seconds upon a successful Scorched Earth. The cooldown to generate Hooks is now 18 seconds, up from 15 seconds. Fixed an issue where Whipline would sometimes consume a Hook but fail to cast. The cooldown of Vigilance is now 60 seconds, up from 45 seconds. Fixed an issue where Gunrise could sometimes be used while affected by Airborne. Shadow Dance and Footwork now resist damage and status effects for 0.6 seconds as well as for 1 second after use, up to maximum of 5 times. The 3-piece set effect of Dauntless Soul Shield now increases the damage of Comet Strike by 50%, down from 75% and increases the damage of Swift Strike, Tiger Strike, Cyclone Kick, and Searing Blow by 20%, down from 25%. The 8-piece set effect of Pugilist Soul Shield now increases the damage of Tiger Strike by 35%, up from 30%. The 3-piece set effect of Untouchable Soul Shield now also increases the damage of Searing Palm and Awakened Searing Palm by 65%. The 3-piece set effect of Elite Kung Fu Master Soul Shield now also increases the damage of Comet Strike by 30%. The 8-piece set effect of Elite Kung Fu Master Soul Shield now increases the damage of Comet Strike by 60%, down from 90%. Reduced the amount of time you can cast a skill after casting Hellfire Kick or Pivot Kick. Shadow Dance now has a cooldown of 16 seconds, up from 15 seconds. Footwork now has a cooldown of 16 seconds, up from 15 seconds. Fixed an issue where Left Step and Right Step would sometimes fail to cast when the target was 5m away. Frost Nova Move 1 and 2, Ice Coil Move 3, Glacial Beam Move 1, and Frost Palm Move 1 now deal Earth damage when Earth spec is active. The 3-piece set effect for Elite Soul Fighter Soul Shield now increases the damage of Kingfist, Kingstrike, Frost Storm, and Ice Helix by 25%. The 8-piece set effect for Elite Soul Fighter Soul Shield now increases the damage of Kingfist, Kingstrike, Frost Storm, and Ice Helix by 60%, down from 85%. Fixed an issue where you could not rotate while casting Chi Cloak. Removed additional damage when hitting an opponent from behind with Blazing Twin Cobra and consolidated it into the base damage of the skill. Breaking Claw now increases Critical by 1% for 6 seconds, up from 3 seconds. Soul Surge now allows the caster to resist damage and status effects 3 times upon use. Familiars now receive a higher percentage of the Summoner's Defense and Critical Defense. Lunge now applies Stun for 2 seconds on the first hit instead of requiring both hits. Grasping Roots and Strangling Roots now deal Wind damage when Wind spec is active. Earth Thorn Strike Move 1 no longer deals additional damage when attacking an enemy from behind but increased the base damage. Huzzah! Move 2 now increases movement speed by 60% for 6 seconds for the Summoner and Familiar. Thralls now receive a higher percentage of the Warlock's Defense and Critical Defense. Subjugator Bracelet now causes Soul Shackle to trigger the Subjugation effect in addition to Repulse. The duration of the Subjugation effect is now 4 seconds, down from 6 seconds. The 8-piece set effect from Demoncaller Soul Shield now increases the damage of Dragon Helix and Awakened Dragon Helix by 25%, up from 20%. The 3-piece set effect from Uncanny Soul Shield now increases the damage of Dragon Helix and Awakened Dragon Helix by 25%, up from 20%. The 8-piece set effect from Uncanny Soul Shield now increases the damage of Dragon Helix and Awakened Dragon Helix by 17%, up from 15%. The 3-piece set effect from Elite Warlock Soul Shield now increases the damage of Soul Shackle by 90%, up from 75%. It also reduces the cooldown of Soul Shackle by 20%. Devotion Soul Badge now allows for an additional cast of Soul Shackle Move 3 and applies Airborne again when cast on a target affected by Airborne. Mantra now recovers 5 Focus, up from 3. Mantra Move 1 now recovers 20 Focus during Mantra, up from 15. Dimensional Salvo now deals increased additional damage to targets affected by Airborne when using Dimensional Valley Move 2. Hongmoon Secret Technique Soul Shackle Move 3 now deals increased damage for both Frost and Shadow spec. Soul Shackle Move 3 no longer extends Airborne when used on an enemy affected by Airborne. Hongmoon Secret Technique Soul Shackle Move 3 can no longer be cast additional times. Dragoncall Move 2 now deals additional damage to targets affected by Stun, Daze, and Knockdown in addition to Airborne. Additional damage was also increased. The cooldown of Hongmoon Secret Technique Dragoncall Move 2 is now 18 seconds, down from 24 seconds. Hongmoon Secret Technique Dragon Helix Move 1 now recovers 1 Spectral Orb on hit and 1 additional Spectral Orb on critical hit instead of 2 Spectral Orbs on critical hit. Dragon Helix Move 2 now deals additional damage to targets affected by Airborne in addition to Stun, Daze, Knockdown, or Snare. Dragon Helix Move 2 and Hongmoon Secret Technique Dragon Helix Move 2 now deal additional Debuff Damage.